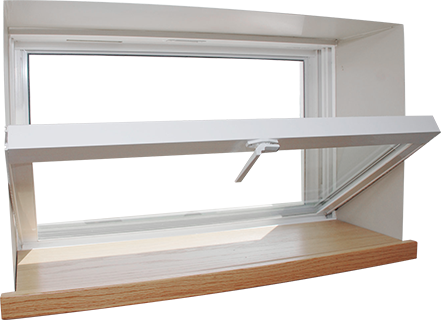 Hopper windows, which are often found in basements, have a hinged design that enables them to swing downward and inward into the home. However, many older basement windows only have a single pane of glass, which does not offer much insulation, making the climate of the basement uncomfortable and hard to control. For hopper windows that provide better insulation, turn to the professionals at Rite Window. Our windows have a bottom hinged design that tilt in, which helps to increase ventilation. Plus, our windows are Energy Star® certified, so they can better help to stabilize indoor temperatures. Because of our excellent service and reputation for providing top-quality windows at affordable prices, we have received many positive reviews from satisfied customers on third-party review sites as well as an A+ rating with the Better Business Bureau. If you would like to learn more about the hopper windows we can install in your home, call Rite Window today or fill out our online form to schedule a consultation today. ""Beautiful windows....professionally installed.....at a reasonable price." A claim that is a tall order to live up to. But the team from Rite Window not only…"